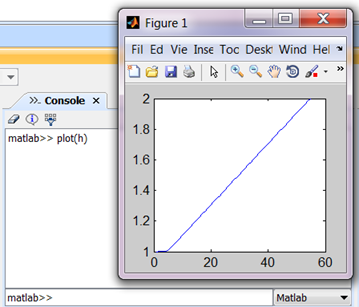 Perform advanced Numeric Computations with values in the SysML model. Analyze and Visualize SysML model data. 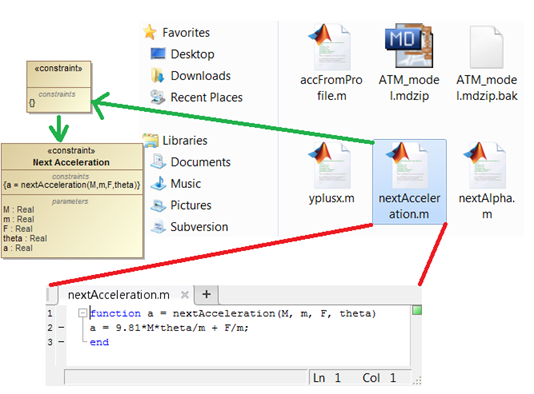 Math solver functions can be called directly from SysML Activity diagrams using Opaque actions. 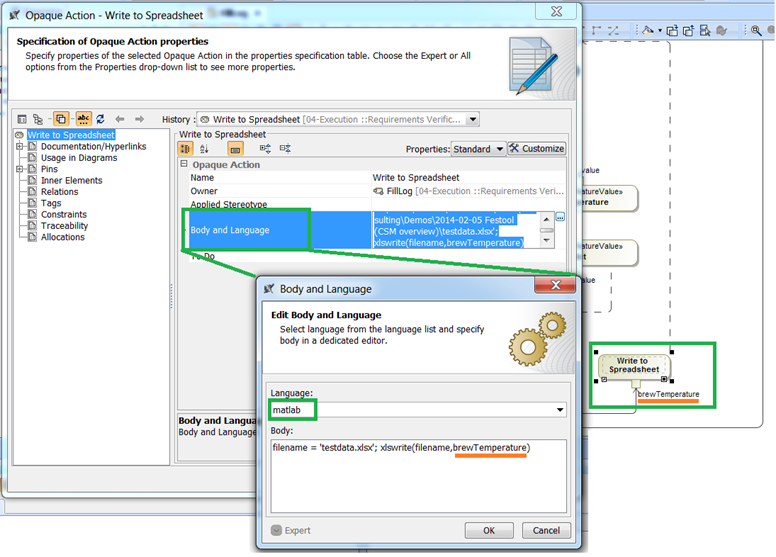 Script, referring by name, can access all variables in the particular context, such as value properties of the enclosing block, activity parameters, and input pins. 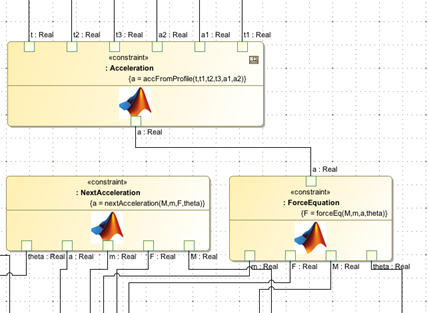 Use “sim” function to invoke Simulink model. Use Math solver to solve SysML Parametric model, featuring acausal solving of parametric equations. Type and execute Math solver functions directly in Cameo Systems Modeler and directly at run-time. 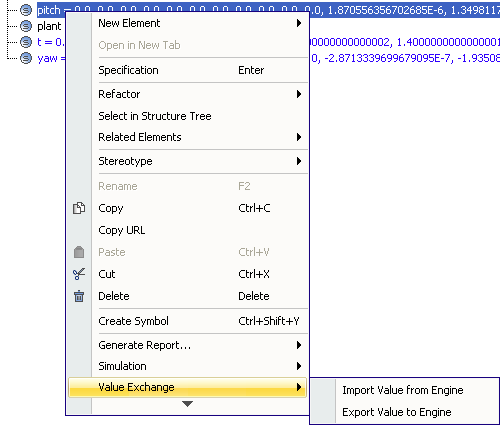 Exchange workspace variables in Math solver with values of the SysML model. Drag & Drop M-file onto Cameo Systems Modeler and you’ll get it parsed and SysML Parametric Equation created and populated with parameters. Connect to Math solver server deployed anywhere in the world.